Ofqual FE chief Jeremy Benson hailed plans for an apprenticeship levy an “extraordinary concession” by the Treasury and said it would provide “momentum” for the programme’s 3m starts target by 2020. 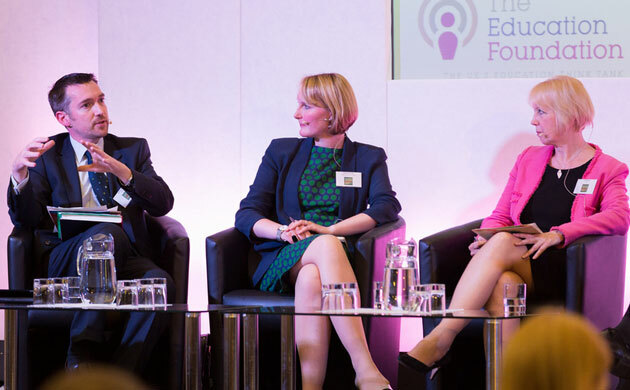 Mr Benson, Ofqual executive director for vocational qualifications, spoke about the large employer levy at an Education Reform Summit, in London, organised by The Education Foundation, on Thursday (July 9). He said Skills Minister Nick Boles had managed to get “the chancellor to stand up and say ‘I am going to give the apprenticeships budget lots and lots of money directly from employers [through the levy plan] that can only be spent on apprenticeships’”. Chancellor George Osborne unveiled the levy in his Budget the day before and the Department for Business, Innovation and Skills later told FE Week that consultation would be carried before further details were announced. Mr Benson told the summit that the Treasury did not like “hypothecated taxes” — which is when they are only used for one purpose, so to fund apprenticeships in this case. However, he said: “Nick Boles somehow — and he did say it was a quite an extraordinary concession by the Treasury — persuaded them to do that. Deputy chief executive of the Association of Colleges Gill Clipson also spoke at the summit about a number of issues facing FE college leaders, as they consider how to cope with, for example, 24 per cent cuts to the adult skills budget next academic year. She said they were having to “think hard” about “what it is they are offering, how they work with key partners, including local enterprise partnerships and local authorities, and crucially how they work with employers”. Ms Clipson added that “there is a recognition” that “changes are going to be needed”, which could “lead to greater conversations about higher degrees of specialisms”. She added that colleges were also having to consider how to maintain the balance, for example, between providing higher level training and “working with the unemployed”. Deputy chief executive of independent charity Creative and Cultural Skills Catherine Large also told summit delegates about a new national college for creative and cultural industries, in Thurrock, that her charity is helping to develop with a consortium of employers. It is one of seven national colleges planned by the government across the country, with specialism including manufacturing, nuclear, wind energy, digital skills, rail, and fracking. “National colleges are introducing new specialist provision at a high level, focused at levels four and five, and will be very focused on what employers want,” she added. The skills levy has generally worked well in the Construction Industry for nearly 50 years. We should be investigating the lessons and using these to help frame the Apprenticeship Levy and considering whether it should be more broadly framed as it is in Construction to cover a wider range of industry required skills.